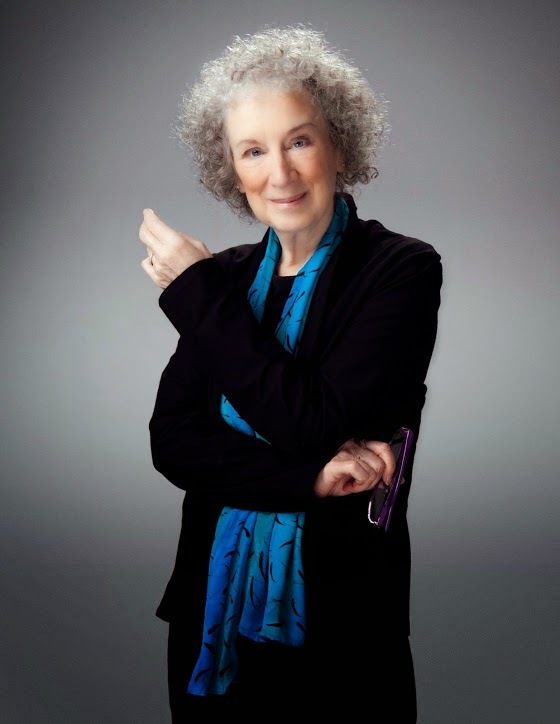 shelf notes: Happy Birthday Margaret Atwood! 75 years young and still typing up literary gifts. To celebrate, ShelfNotes has selected a few favorite quotes and links to past reviews posted of her work. "After a year or two of keeping my head down and trying to pass myself off as a normal person, I made contact with the five other people at my university who were interested in writing; and through them, and some of my teachers, I discovered that there was a whole subterranean Wonderland of Canadian writing that was going on just out of general earshot and sight." "Reading and writing, like everything else, improve with practice. And, of course, if there are no young readers and writers, there will shortly be no older ones. Literacy will be dead, and democracy - which many believe goes hand in hand with it - will be dead as well." Want more Atwood? Check out this BookRiot post, also in honor of the author's 75th!